Chef Eric Werner began his culinary career at the Culinary Institute of America and honed his pastry skills at Payard in New York City. He then joined Wylie Dufresne’s 71 Clinton Fresh Food. But it was at Peasant and later Vinegar Hill House in Brooklyn that his embrace of the primal, wood-fired cooking methods he’d explored over campfires in his youth found full expression. 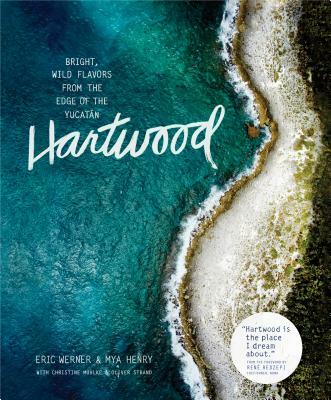 Together with Mya Henry he owns and operates Hartwood in Tulum, Mexico. As general manager and co-owner, Mya Henry is the front-of-the-house presence at Hartwood, where she oversees all operations, including the happiness of the guests. Christine Muhlke is Executive Editor of Bon Appétit and a sought-after cookbook collaborator. Oliver Strand writes for The New York Times, The Wall Street Journal, and Vogue.